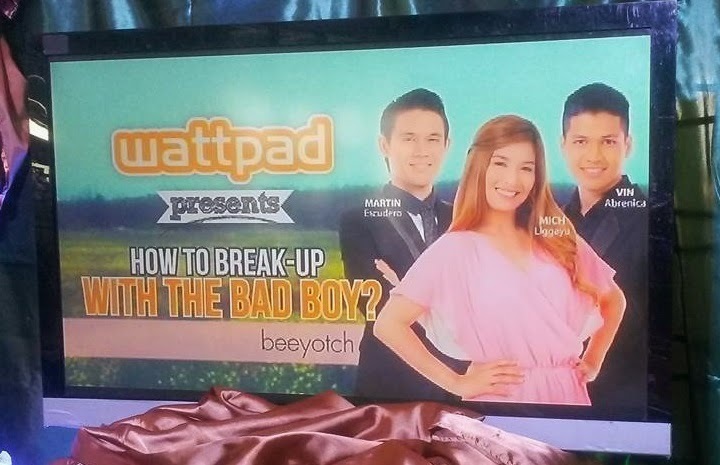 Wattpad Presents: How to Break Up with the Bad Boy? Have you ever had a relationship you couldn't go out of? If he does all the not-so-nice things and only makes you feel worthless after a long time of hardships and trials. You think you've been through it all, then comes all his shortcomings, further making your love life miserable to the extent that you wouldn't want to be in it anymore. Although you can't get out of the relationship because of hundreds of reasons, even more because he's the bad boy you fear he will be when you try and do it. What if you think you've finally found your Mr. Right and you're still stuck with him? What will you do? This is one of the things that this story called "How to Break Up with the Bad Boy?" from TV5's hit show Wattpad Series would try to answer this coming week. The story will be personified by some of the channel's leading stars like Martin Escudero, Vin Abrenica and Jamich's half Mich Liggayu. I'm sure the two gentlemen have already worked in past projects but this is the first time that Mich is doting on the lead role and consequently to be something of a love interest of two good looking men on this show. She says "I had so much fun working on this project. I didn't have any issues at all because I find Martin and Vin very easy to work with. Everything was so light in the set and nobody had any conflicts because they made it easy even if I'm pretty new at this TV acting thing. Whatever blessings come my way, I will accept it wholeheartedly and hope that this would be something that I could continue to do." When asked about Mich's capability to work and act on this Wattpad series, Martin says "For those who haven't seen her on screen should really try and catch this series because she's really good and Mitch is really very professional. I'm sure she must have been tired choosing over me and Vin in this show. Even though she's still recovering and personally going through a lot, I couldn't find any fault with her appearing on this show. She's really good!". 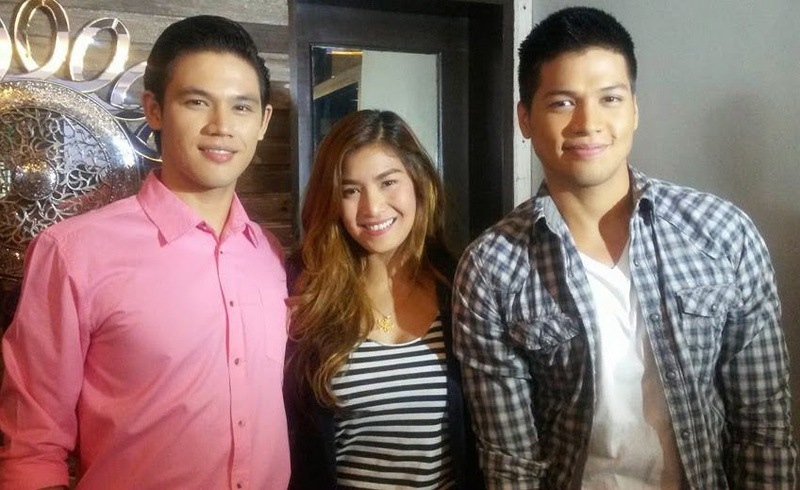 This week's Wattpad Series has been very successful with Bret Jackson and Ella Cruz on the role, will Vin Abrenica, Martin Escudero and Mich Liggayu continue the streak of hit shows on the Kapatid Network? Make sure you don't miss "Wattpad Presents: How to Break Up with the Bad Boy?" this coming week at 9PM! Photo credits to Ms. Mjane Francisco of TV5's PR Team.